If you’re ready to start studying, check out our free video lesson on MCAT DNA and ATP, and keep reading for a quick DNA and ATP review. Let’s start with the basics of DNA. DNA (Deoxyribonucleic Acid) is a molecule that carries the genetic material that provides instructions for the function, growth, and reproduction of all living things. DNA itself is a long polymer, made up of repeating units called nucleotides. The nucleotides are composed of four bases: Adenine (A), cytosine (C), guanine (G), and thymine (T). The DNA molecule consists of two strands that wind around each other in a double helix. This shape is determined by the way the bases stack together; complementary nitrogen bases are linked by hydrogen bonds, forming the “twisted ladder” shape of DNA. The two DNA strands are oriented in opposite directions. Because of this, they are called “antiparallel”, meaning that they run parallel to each other, but are in opposite, or complementary, alignments. One thing MCAT students sometimes forget to study is the difference between prokaryotic and eukaryotic DNA replication. These differences mostly revolve around the size and complexity of the cells (and the DNA!) of these organisms: the average eukaryotic cell has 25 times more DNA than a prokaryotic cell. In prokaryotic cells, there is only one point of origin for DNA replication, while eukaryotic cells have multiple points of origin. Prokaryotic cells also have only 1 or 2 types of polymerases, while eukaryotic cells have 4 or more. Another difference is that replication occurs much faster in prokaryotic cells than in eukaryotic cells. Furthermore, prokaryotic cells are doing short replication almost all of the time, while eukaryotic cells replicate DNA only during the S-phase of the cell cycle. ATP (Adenosine Triphosphate) is a complex organic chemical, which is found in all forms of life, and functions as a unit of intercellular energy transfer. When ATP is consumed as part of a metabolic process, it is converted to either ADP or AMP (that is, either a di-phosphate or a monophosphate). The severing of the bonds between the phosphate groups produces a large amount of energy, and that is what gets put to work powering a whole bunch of processes — such as building proteins, contracting muscles, and all kinds of other bodily functions. MCAT students often forget to study phosphorylation as it relates to ATP. This is the process by which energy-rich molecules (in this case, good old ATPs!) are formed. Phosphorylases and kinases catalyze a phosphoryl group being added to ADP. And that’s ATP! 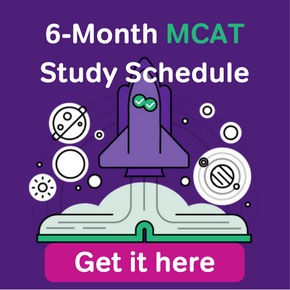 Are you on the market for an MCAT study schedule? 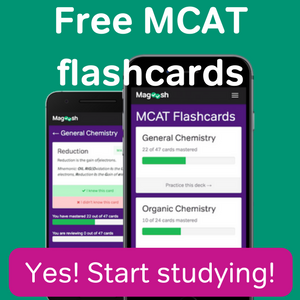 More free MCAT lessons? Maybe this MCAT DNA and ATP review was less of a “review” than you’d hoped…don’t worry! 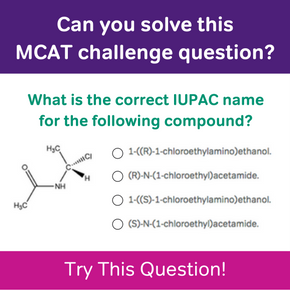 Our official MCAT test prep has you covered. For those of you who already have Magoosh’s MCAT test prep, you can also learn more about DNA in our DNA Replication video!